Today’s guest is Mel Bossa, whose book Auguries of Summer was recently released by JMS Books! Funny thing, when I started this novel, I’d plotted it out so that the main love story was to be between Sebastien, a good-natured cleaning technician, and Amadeo, a talented Italian painter whose house Sebastien cleaned. I had it pretty much figured out. Then one morning, I’m writing the first scene (Seb moving in with his best friend into their new gay village apartment) and have Seb walking around the U-Haul truck to check up on his friend. There is Jack, sitting inside the truck, looking fabulous and fierce — and voilà. I’m in love. Never even planned on him being much more than a secondary character. You see, Jack is the kind of man who can turn my head. Flamboyant, out and proud, witty, fragile, yet so strong, and always willing to make himself vulnerable, regardless of people’s judgement of him … I was head over heels for this character as soon as he opened his beautiful and clever mouth. Then I thought, why make Jack a side character again as he and “men like him” have often been forced to be? Why not give him his own love story, center stage? Why should he be made to be the funny “feminine” cliché that comes into scenes only when the main characters need a sassy speech? Must he always be second best because he doesn’t fit the typical male ideals out there? No, no more! I let Jack take over, and did he ever. Easy-going Sebastien divides his time between working as a cleaning technician, caring for his widowed father, and running off to the park for soccer practice. Coasting through his existence, he’s convinced he doesn’t have much going for him. That isn’t what his best friend Jack thinks. 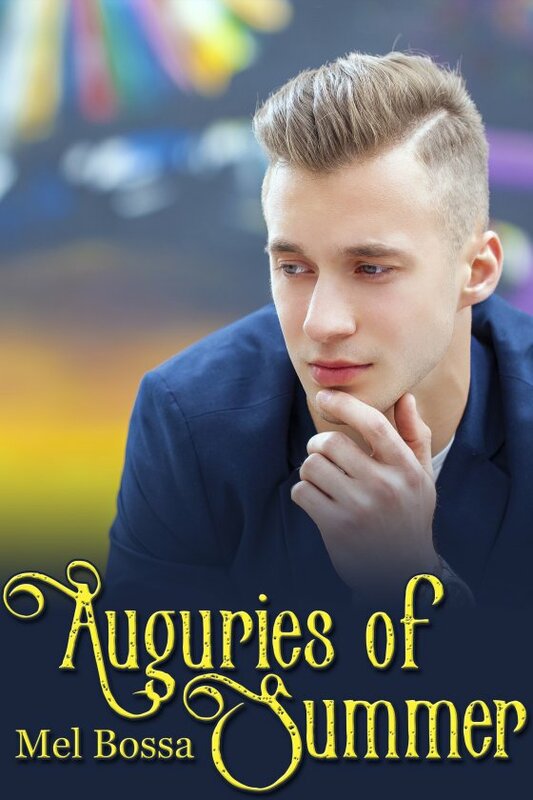 Quick-witted and passionate, Jack is fascinated by art and history, but the greatest book or painting could never compare to how he feels when he’s alone with Sebastien. In the last five years, Seb and Jack have shared everything, sometimes even a bed. Yet though their chemistry is smoking hot, Sebastien keeps Jack at a safe distance. But when the two move in together to lower their living expenses, that distance gets smaller and smaller, until Sebastien and Jack are standing so close, they can’t see what’s right in front of their eyes … the love of their life. Mel Bossa is a Lambda Literary Award finalist and author of numerous novels featuring LGBT characters. She lives in Montreal’s gay village with the love of her life and their three kids. As a bisexual Franco-Italian feminist raised in a patriarchal family, duality is her middle name. She’s felt like the Other for a great part of her life and finds peace in dreaming up worlds where grace wins over fear. Find Mel online at the links below!